My DSLR journey began in the spring of 2008. It was a time for me to get serious about what I call “Camera Speak”. I wanted to combine learning more about camera settings with a holiday abroad. 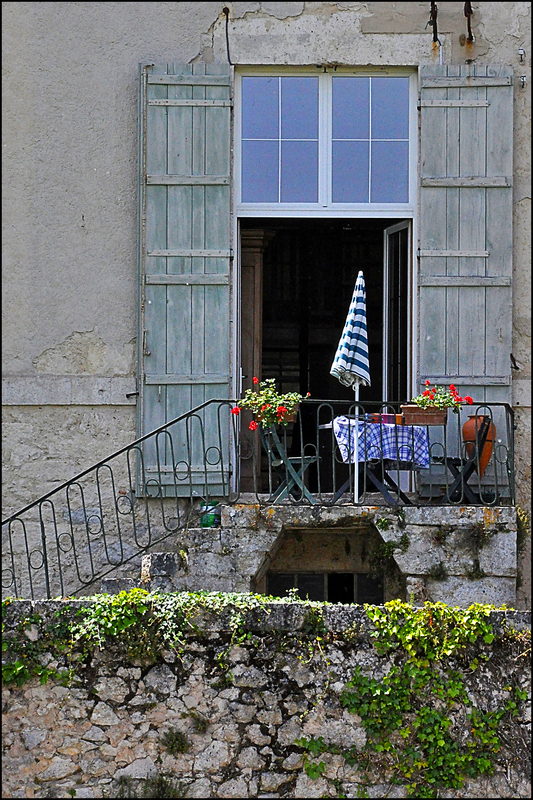 Peter Evans, a British professional photographer now living in France, created a lovely home for art students with his partner, Jill Fellows. I was thrilled with the warm welcome, spacious en-suite accommodations, and Pete’s ability to patiently explain the function of f-stops, shutter speeds, and ISO settings, over and over and over again. I have to admit it took a little time to sink in. Perhaps it was the jet-lag or maybe the thrill of being back in France again. No excuses. It was a remarkable week and I learned so much. I came home with a desire to return and in May 2009, I was flying across the Atlantic to spend another amazing week with Pete and Jill. Jill is an artist who gives workshops and teaches week-long courses for painting enthusiasts. She welcomes absolute beginners to those with years of experience. My weeks with Pete helped me to develop a better understanding of camera terminology and knowing when to use the different settings to improve my photography. F-stop, shutter speed, and ISO roll off my tongue like another language. I feel almost bilingual. Prints, canvases, and greeting cards are available at my Fine Art America website.